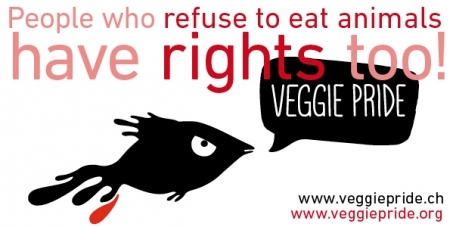 the right to obtain balanced vegan meals in any public or private institutions, the right to impartial and appropriate medical information, the right to be provided with necessary resources to raise their children in accordance with their beliefs, the right to refuse any work contrary to their ethical beliefs. This petition has been created by Anushavan S. and may not represent the views of the Avaaz community. A lot of people in the world think that animals are sentient beings who shouldn't be killed unnecessarily and since it is not necessary to eat animal products many refuse to eat animals or animal products. But their belief is rarely respected. Many doctors learn almost nothing about nutrition and are unable to provide vegans and vegetarians accurate information. The majority of the media have a mocking or critical attitude against “extremist" vegetarians, when mentioning any topic related to vegetarianism, instead of allowing any real debate of ideas. When someone says that s/he is a vegan or vegetarian for the sake of animal interests, this sometimes provokes unpleasant reactions, contempt and even aggressiveness. According to Article 18 of the International Covenant on Civil and Political Rights, everyone has the right to freedom of thought and conscience. This includes the right to belief and the right to manifest one’s belief. Article 26 of the same Covenant states that discrimination based on opinion is prohibited. These two articles combined mean that vegans and vegetarians who refuse to consume animals or animal products for ethical reasons should not suffer discrimination because of their beliefs.